One of the premier psychedelic pop bands hailing from the Midwest of the U.S., Extravision crafts beautiful melodic tunes that combine elements of Boards of Canada, The Beatles, Olivia Tremor Control and great blue grass country rock. Sounding ethereal yet grounded, their music could be the soundtrack for driving through clouds on an early March morning. Groovy psychedelic pop that could be the theme music for an underwater adventure, SEAFARER combines elements of country twang, The Beach Boys and The Strokes. The music is energetic enough to shake your head and your hips, and weird enough to remind listeners of such odd ball acts as Of Montreal and Olivia Tremor control. 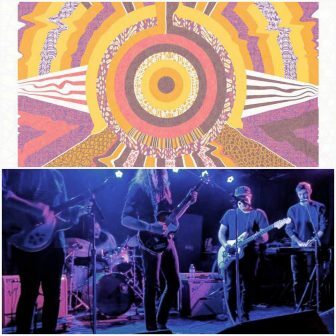 The fusion of west coast surf vibes and edgy New Yorker post punk places them among the best of the Midwest psychedelic bands about to take America by storm.